Apple may soon have Taylor Swift and a dozen of other artists promoting Beats Music after the company reportedly approached them with exclusive deals. Apple is set to revamp the Beats Music service soon, so this move comes as no surprise at all. With the market for music streaming services being as competitive as today, being able to sign Swift and several other artists exclusively can bring Apple the competitive advantage it needs. 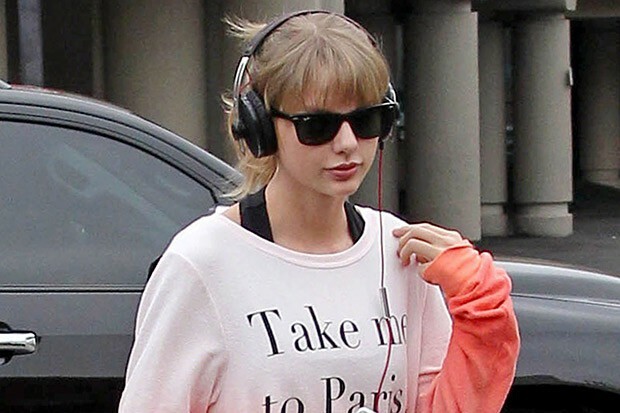 Taylor Swift is no stranger to the music streaming business. The artist recently pulled all of her tracks from Spotify and other services. She also said that music streaming deals – at least from the existing services – don’t really have artists and musicians in mind. The majority of profits generated by these streaming services are enjoyed by the streaming companies themselves, with artists receiving very little from the generated revenue. Apple is not alone in trying to sign artists exclusively. Tidal, a music streaming service backed by Jay-Z, has also approached artists to expand its line-up. Owned by a musician, Tidal is said to offer a much better deal for musicians, at least deals that will favour the musicians instead of offer them the minimum royalty payments. Tech firms such as Spotify and Pandora will not go quite with these recent changes as well. Sources said that they will be making a lot of changes in the near future. Bloomberg quoted that Apple will be offering two main service packages to its users, each costing $9.99 and $14.99 respectively. The more expensive Beats Music service plan will offer a very comprehensive family plan for up to 5 users. This is surely an interesting offer in the eyes of users who have been buying tunes separately through iTunes as well as other music streaming services. The whole family can have their own playlists and choose their own songs for a fixed monthly service charge. The family plan is nothing new at all. Beats Music actually offered a similar plan through AT&T before, but the service is now discontinued after the company is acquired by Apple for $3 billion not too long ago. Since then, Apple is said to have made some big changes in anticipation of Beats Music’s relaunch later this year. Being able to sign Swift and other artists exclusively will certainly put Beats Music ahead. Apple has a lot of pull among artists nonetheless, so don’t be surprised to see this deal goes through in the future. The company has worked closely with a lot of artists in the past as well. Based on everything that has been outlined so far, what do you think about this decision? It would really be quite interesting if Apple goes on a roll and starts working with different artists from all around the world in order to promote their service, as this will definitely grant them quite a lot of popularity and customers, which, after all, is exactly what the company is looking for. Will exclusive content make you move to Beats Music from the existing streaming service you use? Are Apple’s offers interesting enough? Let us know what you think in the Comments section below!